Significant Terms.. New players only. Wagering occurs from real balance first. 50x wagering the winnings generated from free spins, contribution may vary per game. The wagering requirement is calculated on bonus bets only. Free spin is valid for 7 days from issue. Max conversion: $/£/€ 20 or 200 kr. Full Terms apply. The MaxiPlay online casino was born in 2015 and is a great choice for players looking for a huge selection of online casino games and slots from some of the top providers. Operated by ProgressPlay Limited, MaxiPlay is a smart, modern online casino. 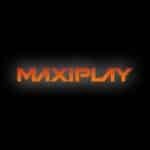 With a black background and retro arcade font for the orange MaxiPlay logo, the online casino has a contemporary and smart design. MaxiPlay’s online casino slots feature games from popular software developers such as NetEnt, NextGen Gaming and Microgaming. Continue reading for our in-depth, accurate and impartial review of the MaxiPlay online casino. From the instant-play to the huge variety of virtual and live table games, find out all there is to know about the MaxiPlay online casino in this review. One of the first things we consider when reviewing online casinos is its safety, security and privacy. MaxiPlay is operated by ProgressPlay and regulated by the Malta Gaming Authority and UK Gambling Commission. The site also features SSL encryption, protecting your personal information and money whilst you play. MaxiPlay also operates according to the standards set by the PCI Security Standards Council and its random number generator is reviewed on a regular basis. The main pros of MaxiPlay include being able to choose to play your favourite online casino games and the most popular slots from some of the leading software providers. On MaxiPlay, you will also be able to enjoy both virtual and live table games as well as complete instant-play. With 495 games made up of casino games, slots, scratchcard games, live table casino games and jackpot games, all available from the industry’s best software providers, MaxiPlay has one of the finest selections of games around. Unfortunately, MaxiPlay falls short on its customer support, as although there is email and live chat support, there is no telephone support. MaxiPlay also has a limited number of casino table games, with just Blackjack and Roulette tables leaving some casino table enthusiasts somewhat underwhelmed. Despite the limited customer support and variety of casino table games, MaxiPlay is well worth a visit. Although MaxiPlay’s casino table game library lacks a wide variety aside from Blackjack and Roulette, the 500+ other games on offer feature some of the most popular titles around. Some of MaxiPlay’s most popular games include Starburst, King of Slots, Magic Boxes, Mega Moolah, Boss the Lotto and Lots of Loot. Although there are a limited number of casino table games, MaxiPlay does offer video poker games, including popular games such as Jacks or Better Poker, Deuces Wild Power Poker, Double Bonus Poker and Triple Pocket Hold’em Poker. If you prefer playing against a Live Dealer, there are 55 MaxiPlay live dealer casino games with variants of Roulette, Blackjack and Baccarat to be enjoyed. MaxiPlay offers a number of accepted payment methods. You can use your credit or debit card, fast bank transfers, prepaid cards and e-wallets, among others. You can find the various accepted MaxiPlay payment methods on the footer of the website. The site’s FAQ section lists the various processing times as well as the deposit and withdrawal amounts depending on the method of payment. SpinBonus Top Tip: The wagering requirements depend on the type of the online casino game you play at MaxiPlay. You can use the support section to find out the various wagering requirements for specific games. The withdrawal method affects the maximum withdrawal limit at MaxiPlay. Withdrawals via a credit or debit card have a minimum withdrawal limit of £10 and maximum withdrawal limit of £10,000. It can take up to 5 working days to withdraw funds, although MaxiPlay do claim to process many withdrawals within 24 hours, which is quicker than most online casinos. MaxiPlay’s bonuses and promotions are some of the best we’ve seen. The welcome offer from MaxiPlay offers new players bonus spins on the popular slots game, Warlords. New players receive free spins depending on the amount deposited. Depositing £10 will give a new player 50 free spins, whereas for 100 free spins, players will have to deposit £20. For 250 free spins, new players will have to deposit £50 and finally, depositing £100 will give new players a massive 500 free spins. Winnings or any bonuses must be wagered 50 times before you are able to make a withdrawal from the welcome bonus. With a wide variety of promotions throughout the week, every week, there’s an offer to suit every MaxiPlay player. MaxiPlay offers only email and live chat support, which are available between 8am-12am GMT. Unfortunately, MaxiPlay does not provide telephone customer support, which is why we can only give MaxiPlay 3 stars. The FAQ section contains useful information, however, it has its limitations as a pop-out window. The FAQ section isn’t searchable, making finding an answer to your question difficult as you have to scroll through all the questions and answers. The MaxiPlay online casino website is modern and well designed, with the orange retro logo set against the smart, black background. MaxiPlay’s homepage is well organised with the welcome offer taking precedence at the top. The latest games are listed below the main website image, giving you quick access to them as well as listing the most popular games per category, so you can get playing straight from the homepage. However, the organisation and easy to use interface quickly disappears once you enter the game lobby. The search function within each game category only allows you to search by game title and without any filters by game type, the usability of the site seems to have been put to one side. One of the saving features is the navigation bar, where you can choose the game category to help you narrow down your search, although you will have to scroll through all the games. It is because of this overall lack of development in the search functionality, no telephone support and poor navigation of the FAQ section which brings the User Interface score down to just three stars. MaxiPlay offers over 495 enticing gaming options featuring all your favourite game titles. The main focus of the site is on slot games, however, MaxiPlay does also offer a good selection of other games including 35 virtual tables. The virtual table games include Blackjack variants such as 3D Blackjack, as well as Roulette, Baccarat, and Poker. MaxiPlay features instant win games with just 17 scratch card games and an impressive 55 Live Casino games including live dealer Blackjack, Poker, Hold’em, Baccarat and Roulette tables. SpinBonus Top Tip: You can enjoy MaxiPlay on the go with its games available on smartphones and tablets. MaxiPlay has a great welcome offer for first time players, giving them up to 500 free spins on Warlords for their first deposit. There are also a wide variety of daily, weekly, monthly and game category specific promotions. Use the promotions section of the site to stay on top of all the latest bonuses and promotions. MaxiPlay offers a weekly surprise giving loyal customers a bonus every Tuesday. The more you play and deposit, the more surprises and bonuses you’ll receive. Each weekend (Saturday to Sunday), MaxiPlay invite you to join one of their many roulette tables. Their weekend roulette cashback gives players up to 15% cashback on deposits played. There are so many slot promotions and bonuses, your head will be in a spin. Starting with MaxiPlay’s welcome bonus, you can get up to 500 free spins on Warlords. The number of free spins you get depends on how much you deposit. MaxiPlay runs the popular Wednesday Wildfire, which selects players and gives them special bonuses for one day only on some of the most popular slot games around. 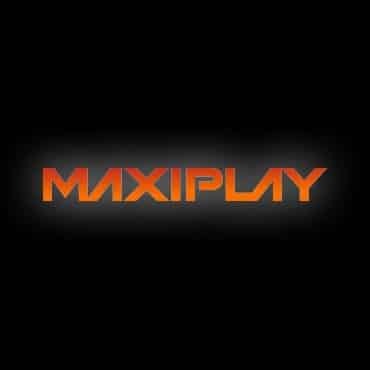 Seasonal and monthly promotions and bonuses are also available on MaxiPlay. These can be seen in the Promotions section of the site, along with the terms and conditions of each offer. There are a number of deposit and withdrawal payment methods accepted on MaxiPlay including PayPal, Visa/Mastercard debit or credit card, e-wallets, Paysafe, Zimpler and Trustly. MaxiPlay licensing is covered by the Malta Gaming Authority and UK Gambling Commission. The site also features 128-bit SSL encryption which provides further protection to MaxiPlay gamers, their money and personal information.